Nice pics! It's definitely different reading about the ml capacity versus seeing it in pics like this. That's quite a size difference - going from the small Sckoon to the large Fleur!! yeah, the Fleur is larger than I thought it would be, haha! I don't know if my flow is heavy enough to need that much space, I might try to trade it for the smaller one soon! The colour of that Fleurcup is gorgeous! My Violet Fleur is such a dim colour that it's almost grey. This one looks more saturated, very pretty! I just noticed that the tag on this is confusing. I think you have this tagged as a Mooncup UK, but the Keeper Moon Cup is the Moon Cup US. 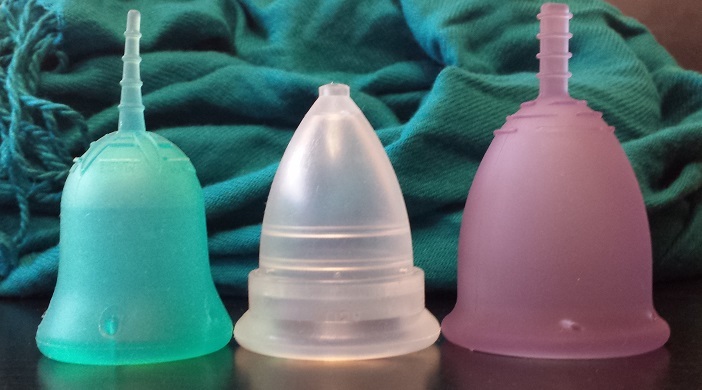 Glad rags sells the Keeper, Moon Cup (US), Lunette, and Diva. They don't sell the Mooncup UK. I was terribly confused about the two Mooncups. Mooncup UK, is called MCUK in the United States because The Keeper Company trademarked the "Moon Cup" name in the US. I've heard the Keeper Company has terrible customer service. But, I can tell you in my experience, Gladrags has phenomenal customer service, and can be very helpful when choosing a new cup. When I bought my Moon Cup (US), I did so because 1. I liked supporting Gladrags. 2. It seemed to be a firmer cup, which I felt would be easier to insert, and easier to open, and 3. It had a 90 day return policy. However, after learning that there are two Moon Cups, I wasn't sure if I had ordered the right one! I had to look at all the reviews all over again. 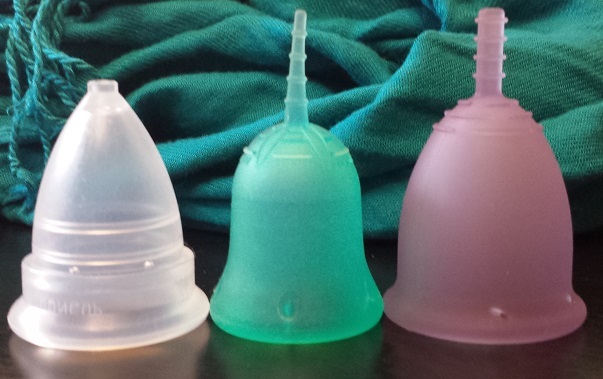 Also, I noticed some folks use one brand name interchangeably for all menstrual cups. Kind of like how some people call all tissues Kleenex, and all tampons Tampax. I saw a video for a Diva Cup review, and the lady was actually doing a review on the Keeper. Another video I saw had a lady reviewing several "Mooncups" but none of them were Mooncups. I'm not trying to be offensive, in any kind of way, I just wanted to add this comment in case other people (like me) read older posts, and have confusion about the two Moon Cups. 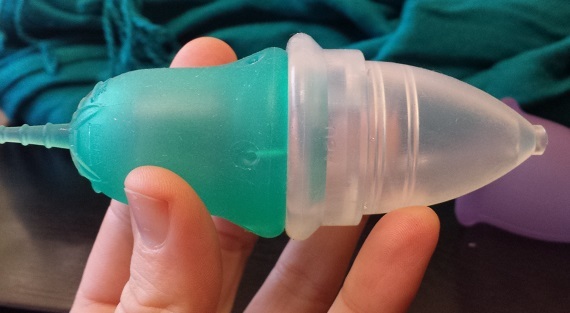 This one, in the pictures, is the "US Moon Cup", or "Keeper Moon Cup", sold in the US at some natural food stores, some pharmacies, on Amazon, through the Keeper website, or from Gladrags.com. The UK version is sold online as the MCUK, when ordered from the US.